Has not The Bible Changed? Bible tells "In the beginning was the Word, and the Word was with God, and the Word was God. He was with God in the beginning. Through him all things were made; without him nothing was made that has been made". 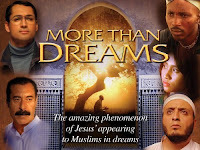 The Good News is, Many Muslims have started to follow Jesus Christ. This website is focusing on testimonies and interviews of Former Muslims who Left Mohammed and manmade ideology of Islam and Accepted Jesus Christ as their Lord and Savior and I'm one among them. If you are intrested to know more about Jesus Christ. Please go to Resources button above right side and download. If you need Bible Injil Sharif , Please do write me with your address in the contact form.